At the time of recruitment, candidates must have completed a degree that gives access to doctoral studies at Spanish Universities. 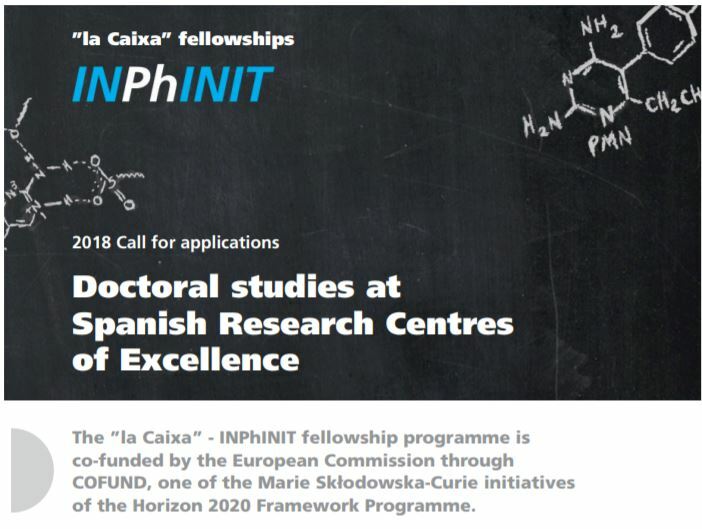 The 2018 INPhINIT Programme offers a 3-year doctoral employment contract and a personal development career plan. Click here for CALL DETAILS and INSCRIPTION. EMBO announces today the selection of 28 young researchers as EMBO Young Investigators. Among them Guadalupe Sabio, who joins a network of 47 current and 417 past Young Investigators who represent some of the best up-and-coming group leaders in the life sciences in Europe and beyond. Selection to the EMBO Young Investigator Programme is recognition of exceptional research and scientific potential. Through the programme, EMBO identifies and supports some of the best researchers under 40 years of age who are in the process of establishing their own laboratory. During their three-year tenure, EMBO Young Investigators receive a range of benefits, including an award of 15,000 euros and possible additional funds to support the establishment of their first independent laboratories. The scientists also receive access to core facilities at the European Molecular Biology Laboratory in Heidelberg, Germany, and funding for themselves and their group members to attend conferences. Guadalupe Sabio at her laboratoy at CNIC (Photo: Ivana Nikolić).